We just returned from a fantastic cycle trip in the UK. 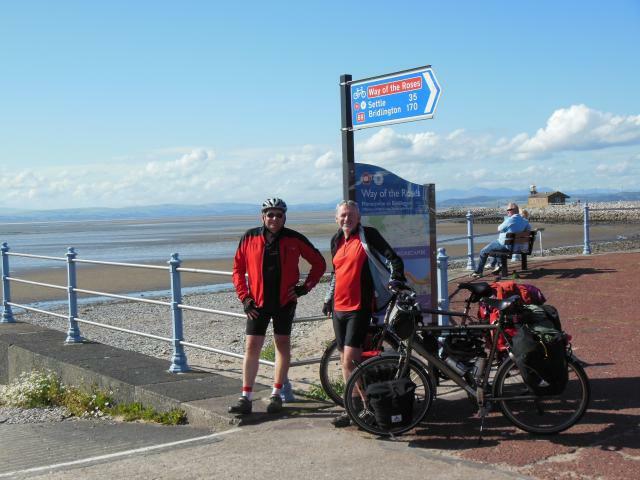 Starting off in Hull (Ferry from Zeebrugge) we followed the Way of the Roses to Morecambe. NCN 6 guided us north to the Walney to Whitby (W2W) route, which we followed to Whitby on the east coast. Going south again on NCN1, reaching Bridlington and on to Hull and the ferry to Belgium. In total, 850 km (approx 530 miles) of cycling through magnificent landscapes. Although we have to admit we had to get used to sharing the road with cars, some very cautious and others maybe not so keen on cyclists it seems. But nevertheless… super trip ! Coast to Coast to Coast… We’ll be back !